Managed chaos. That’s how Rachel Gerber [MDiv ’05] describes parenting three young sons. Herald Press has recently published the Eastern Mennonite Seminary alumna’s first book, a devotional memoir, Ordinary Miracles: Awakening to the Holy Work of Parenting. She also keeps a blog, Everything Belongs, in which she explores the intersection of parenting, faith, and work. Gerber is head of youth ministries for Mennonite Church USA. “I. Don’t. Know. Anything,” Gerber recalls thinking when she was handed her first son, Owen, in 2006. With a cursory introduction to where the diapers, onesies, and wipes were found in the hospital’s nursery bassinet, a nurse left Gerber and her husband, Shawn, on their own. Ordinary Miracles uses the story of Jesus’ walk to Emmaus after his resurrection to help readers see incidents in their own family’s daily life and challenges as normal and instructional. As readers follow the dark days and disillusionment of the disciples after the death of Jesus, to the moment in which their “eyes are opened” and they see Jesus in the ordinary breaking of bread, Gerber learns to discover the gifts and holy calling hidden in the events of harried family life. Gerber works half-time as the Mennonite Church USA denominational minister of youth and young adults. 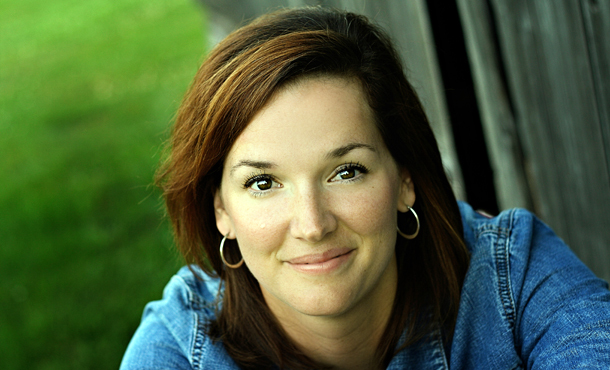 She partners with the Youth Ministry Council, Mennonite Camping Association, and Mennonite Church USA convention planning staff on Christian formation and leadership development initiatives. She has also worked in ministerial positions for Mennonite congregations in Colorado and Indiana. Gerber has written curricula, devotionals, and articles for a variety of publications on a range of topics from spiritual formation to dramatic skits. She and her family live in Bloomington, Ind. The book is available for $12.99 from MennoMedia. For more information, contact Melodie Davis at 540-574-4874 or MelodieD@mennomedia.org.